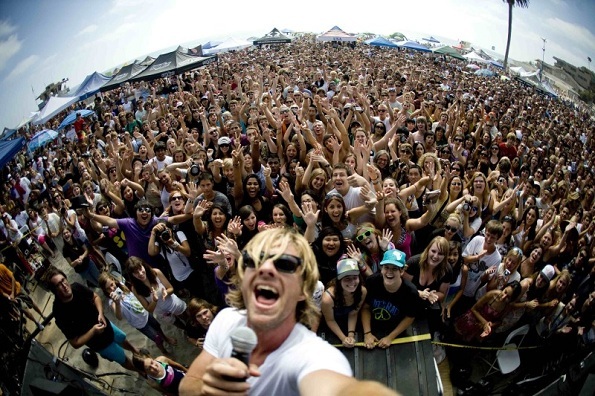 The 8th Annual Switchfoot Bro-Am sponsored by Hurley returns to Moonlight Beach in Encinitas, CA on Saturday, June 16th. This year’s lineup includes Dead Feather Moon, The Howls, Brandon and Leah, and Jon Foreman & Friends. The free concert starts at 12pm. Along with the free concert, there is also a surf competition from 7am to 3:30pm and plenty of vendors and other activities to checkout while hanging out on the beach. Switchfoot Bro-Am is an annual event that was started by the members of the band as a way to give back to the San Diego community. The event benefits StandUp For Kids – a local children’s charity that strives to make a difference in the lives of at-risk, homeless and street kids. For more information about the event, check out Switchfoot’s website or the Switchfoot Bro-Am Facebook page.